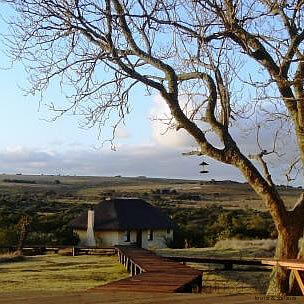 Hlosi Game Lodge is a 5-star Eastern Cape lodge in the Amakhala reserve. Lying along a curve of hill above the Bushman's River plain in the Eastern Cape, our luxury game lodge is a quiet, grassland retreat offering a rich and intimate luxury african safari experience. 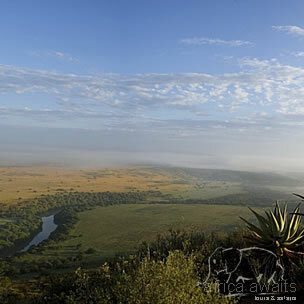 As part of the 7000-hectare Amakhala game reserve, Hlosi provides a rich, informative luxury safari experience for adults and children alike, as we share our enthusiasm for conservation, for food, for life. Our family safari offering includes a varied and supervised activity programme. Idealy situated near Port Elizabeth in the Eastern Cape of South Africa, and offering the "Big 5", (Lion, Elephant,Baffalo,Rhino & Leopard) in a malaria free private game reserve, means the entire family can enjoy the best of what Africa has to offer. Sleeping a maximum of 12 adults, Hlosi may also be booked exclusively as a private venue for small team-building and wedding functions. Hlosi also offers a wonderful small conference venue for Eastern Cape businesses. This intimate lodge re-defines exclusivity with four individually styled double/ twin suites designed to capture the spirit of a bygone era, while providing the luxuries of contemporary lodge living. In addition, we've just added two luxurious 2-bedroom suites to the lodge, to better cater for families and friends travelling together. Ranged along the curve of a hill, each room has its own viewing deck, welcoming lounge and fireplace, and sumptuous bathroom with spa bath and a choice of inside or open-air showers. With its complementary decanter of sherry, selection of classic reads available in each room, and superior linen and beds, each suite is designed to create a private haven from which to enjoy the quiet beauty of the surrounding bush. * loads of space for the family to stretch out and unwind, without compromising on style and luxury. 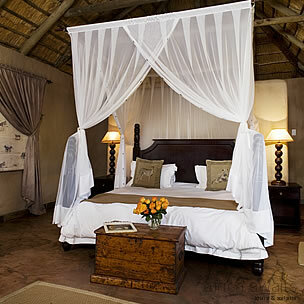 With your holiday, safari or business trip from in to Hlosi Game Lodge in Eastern Cape.